MANILA, Philippines Former Philippine President Gloria Macapagal-Arroyo was heading back to jail - or to a government hospital for that matter - after the country's anti-graft court ordered her arrested Thursday for alleged misuse of government charity funds. 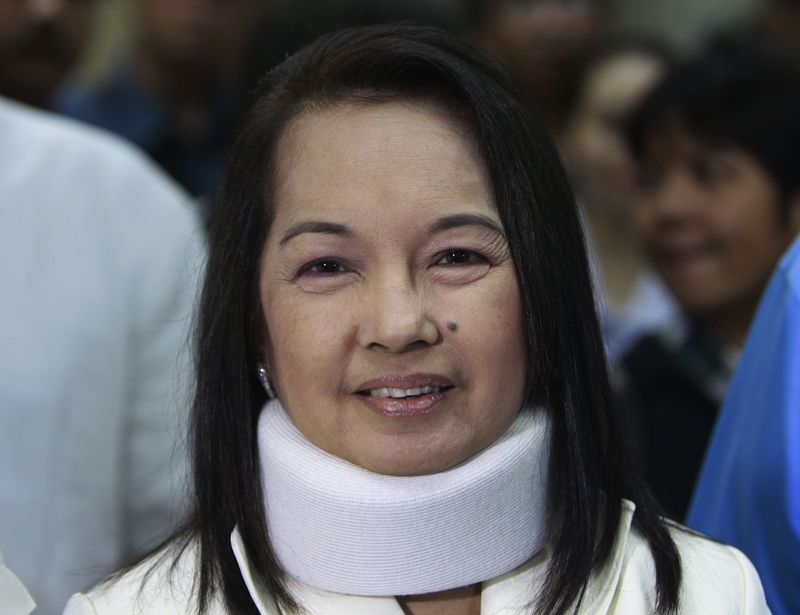 Arroyo, who is suffering from a neck and spine condition, had been out on bail for separate charges of election fraud after eight months of hospital arrest. She also posted bail in a separate graft case involving an overpriced deal with a Chinese telecommunications company. Now Arroyo faces plunder charges, along with nine others, for allegedly appropriating close to $9 million in "intelligence" funds for what is supposed to be primarily a charitable institution, raising suspicions that the money may have been used for personal gain. This time around, she cannot post bail. Plunder is a non-bailable offense in the Philippines. Authorities said Thursday that Arroyo was under arrest, but would have to stay at a military hospital - the same hospital where she was held before - due to her poor health condition. Her lawyers filed a motion to suspend the warrant on Monday but the court ruled against it. One of Arroyo's lawyers, Anacleto Diaz, made a final appeal Thursday for the court to reconsider its ruling, but it was also rejected. Diaz argued that witnesses in the case had no personal knowledge of the alleged misuse of government funds. Arroyo herself has repeatedly denied any wrongdoing. But President Benigno Aquino III has gone all out in his fight against corruption - and in particular, in trying to hold Arroyo accountable for what he believes were anomalies in government during her almost-decade-long presidency. Arroyo has accused him of having a political vendetta against her. Last year, he barred her from leaving the country even after she claimed to have a serious medical condition that needed to be treated abroad. He also succeeded in removing a Supreme Court Chief Justice appointed by Arroyo, perceived by some as protecting the former president. But even facing jail time again, Arroyo has expressed no intention of backing out of the Congressional race in 2013. In or out of jail, the former president seems determined to remain in public office.